Marjie Longshore, HMS/PTO Liaison, shared the following update about the PTO Family Fun Night evening at HMS. Our thanks to Marjie, Becca Shire and Kelly Sawhney for creating this wonderful opportunity to bring families together. Thanks also to Sweetser's Apple Orchard for the generous discount on the cider and apples. Finally, we extend our appreciation to Marjie's dad, Ted Wohlfarth, (www.enteam.org) for donating his time to lead these activities! Thank you so much for supporting our first family game night! Everyone who attended had a lot of fun and expressed that they hope we hold another evening like this. 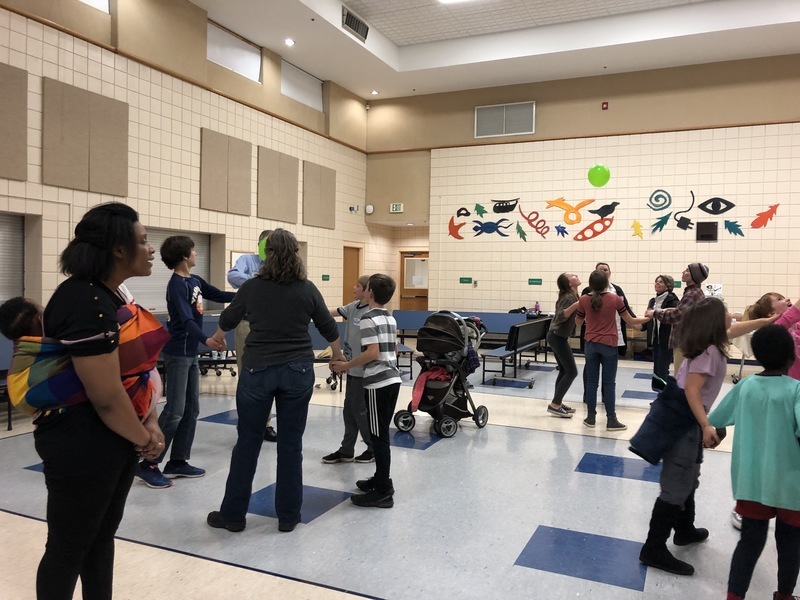 Participants noted how nice it was to connect with other parents. We started with an opening activity called, “Unique and Similar” , which involves finding things that we share in common that aren't obvious just by looking at each other. Then we played a game using tracks and small balls. The object was to get as many balls into the bucket as possible in under three minutes. We were on teams of six or fewer. 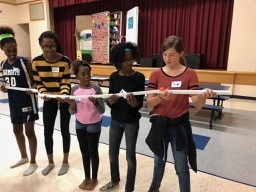 A 5th grade student came up with the idea of using multiple balls on the tracks, which made the score go through the roof-you should have heard the cheers from everyone! We ended with a game called “Uplifting Friends” using a balloon. One of the dads said that was his favorite of all. 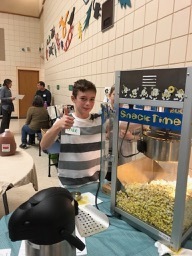 In between the games we enjoyed hot cider, cold cider, cookies and other delicious treats, along with popcorn freshly made by 7th graders, Tyler Moore and Barrett Thompson-Longshore. Liz Reinsborough's cookies were delicious! See you next time.